Ghost, goblins, witches and super-heros . . . wait, super heros? Absolutely! 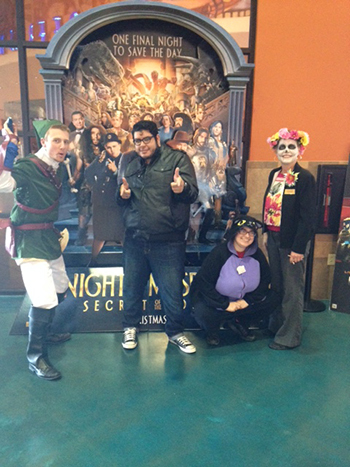 They all converged at Rio Rancho's Premiere Cinema for Halloween fun, festivities, movies and trick-or-treating! "Our staff loves to costume-it-up," said Premiere Director Sandy Dodson. "We have fun so our customers do too!" Stay up-to-date on all the fabulous events and happenings at Premiere by clicking the link in the BLUE BANNER (to the left) on our website and becoming a PREMIERE INSIDER! And be sure to follow your favorite Premiere Cinema on Facebook and Twitter!